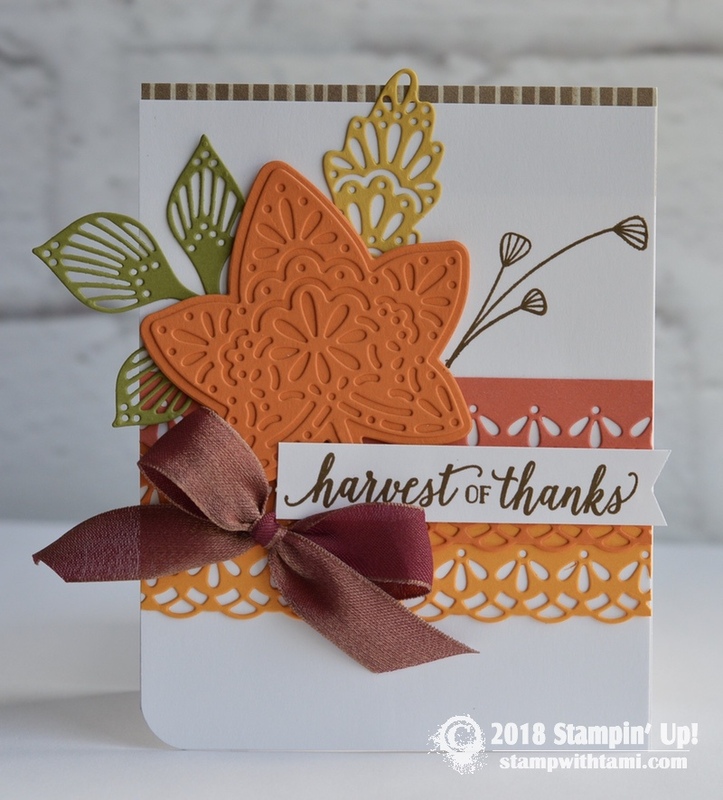 Today’s card share is this festive fall “Thankful” card from the Stampin Up Falling for Leaves bundle. The Falling for Leaves stamp set and coordinating Detailed Leaves dies. The background is from the Festive Farmhouse designer paper. The oval is cut from the Stitched Shapes dies.